POWERVE – Train Weighing Test Equipment: How it works and why to use it! POWERVE is an innovative measurement system designed to statically measure the vertical forces of each wheel of rolling stock on track. It is a new high tech tool, able to improve the rolling stock running safety. The system’s main skill is to measure the actual wheel load distribution on the track. In this way, it is a safety equipment. It is also a maintenance tool, particularly useful to balance the locomotives wheel load (and setting suspensions), in order to reduce the wheel slip. Obviously it can be used also to know the total weight of a rolling stock, but this is not its primary use. 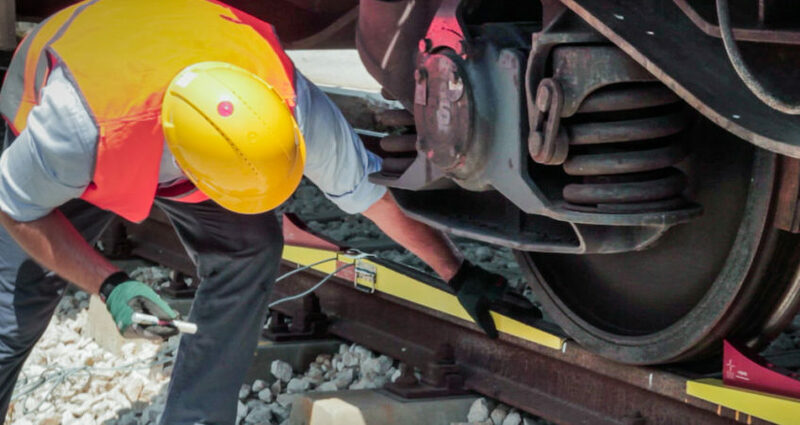 Its easy installation and portability makes it perfect to use along track and at workshops; you will be able to move the system where it is needed minimizing the movements of rail cars. It is our own invention and we manufacture it in Italy. It weighs directly at the wheel/rail interface near the contact point, and not on the wheel flanges. In this way, it weights the real load of each wheel on the rail. Given its precision and accuracy (whole system accuracy <1% certified in field by Notified Body), one can easily perform a train weighing without the need of a complex and time consuming installation, moreover it can be used also to balance the train weight distribution improving rolling stock safety. POWERVE is perfectly in line with the requirements of the new European Norm prEN 15654-2 Railway applications – Measurement of vertical forces on wheels and wheelsets Part 2: Test in workshop for new, modified and maintained vehicles.